Crafting the most technically precise analog replay components in the worl!. A Vertere Record Player is uniquely designed and engineered to the highest standards, enabling you to enjoy the best possible musical experience. At times when you perceive something as perfect, it is merely waiting to get even better. 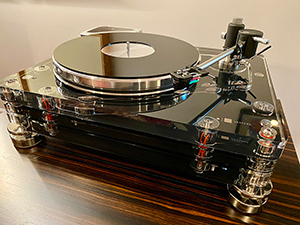 These carefully-engineered luxury record player, tonearm and audio cable systems make Vertere the best choice for all music lovers and Hi-Fi enthusiasts. Re-create the live music experience with Record Player RG-1 Reference Groove, Vertere’s finest model and first choice among the world’s high-end turntables. Record Player RG-1 Reference Groove embodies all Vertere’s unrivaled expertise in quality audio engineering, high-end hi-fi systems and turntables. Designed without compromise, every single component in the RG-1 is specially engineered and custom built, using the best possible materials and the highest standards of precision. Bringing music to life in the home, Vertere’s Record Player SG-1 Standard Groove can take you close to perfection in turntable performance. 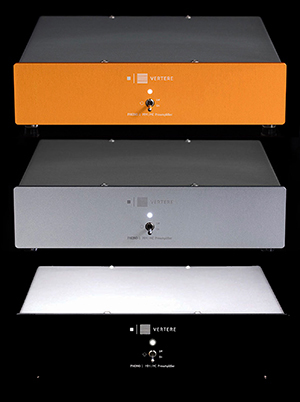 Vertere’s Record Player SG-1 Standard Groove is designed and built to exactly the same high standards as the RG-1 Reference Groove. As with RG-1, using the best possible materials and the highest standards of precision, every single component is specially engineered and custom built. Has the heart and body of the RG-1, unrivalled in its own right and second only to RG-1. 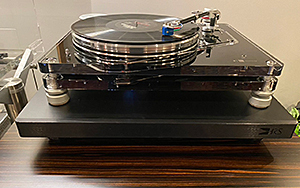 Taking vinyl replay beyond what’s possible in this turntable class, Record Player MG-1 Magic Groove includes critical design elements of the SG-1 Player. A superlative design, Record Player MG-1 Magic Groove offers fabulous performance that’s bettered only by Vertere’s RG-1 Reference Groove and SG-1 Standard Groove. 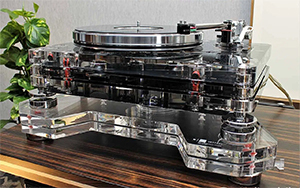 As with all Vertere turntables, every individual part is custom built, and has been created using the optimum materials and highest precision standards. Click her eyes to make an appointment. The D-Groove has been in design and development for over three years. At the heart of this amazing record player is the new Motor Drive, directly derived from our Reference RG-1 Motor Drive circuit. Utilizing the exact Motor incorporated in our MG-1, SG-1 & RG-1 ‘Groove’ Players, and controlled by the unique new Motor Drive circuit, this entry level record player has performance that is second to none in its class. Combined with a super precision bearing, platter, pulley and a new exceptional design tonearm, the D-Groove boasts performance that is way beyond its class. Add to this aesthetics to die for and they have a record player which will do justice to any vinyl spun on it. The Vertere Reference Tonearm - Their Flagship Arm! Push the boundaries of analogue reproduction. 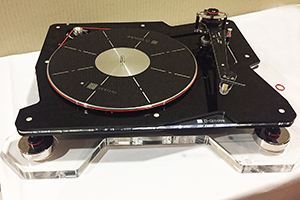 The state-of-the-art Vertere Reference Tonearm transforms any high-end record playing system. Every part of the Vertere Reference Tonearm has been individually designed and manufactured to overcome the shortcomings of existing tonearms. Each detail is meticulously engineered and contributes to the excellence of the whole. Performance is enhanced to a level of resolution, clarity, dynamics, timing and sheer power that is normally associated with live music. Benefiting enormously from the work done in developing the Reference Tonearm, the Vertere SG-1 Tonearm provides unsurpassed performance in its class. To achieve breath-taking musical performance, the Vertere SG-1 Tonearm utilizes a combination of quality materials including roll-wrapped carbon-fibre, stainless steel, aluminum alloys and silicon nitride. Its unique bearing design and versatile anti-skate adjustment make it an ideal partner for any high-quality turntable. Enjoy the full musical experience from every track and every album with PHONO-1 MkII, the perfect interface between your record player and your amplifier. MC | MM Preamplifier PHONO-1 MkII gets the best from any high-quality record player, with maximum dynamic range and supreme detail resolution. With more than 10 gain settings, 15 resistance and 9 capacitance settings, PHONO-1 MkII leaves nothing to chance. It makes the perfect match for almost any Moving Coil or Moving Magnet cartridge.